Here’s how much further $150,000 goes in Tennessee than in northern Virginia. The post The Right People Make the Right Experience appeared first on Tad Ritchison, REALTOR® ABR®. The beach calls, the kids are having fun, and coming up soon school! That’s right, school is coming up fast. This post may have been about all those great trips you could take, but do not forget the most important trip you could take this year. The Trip to your NextHome! 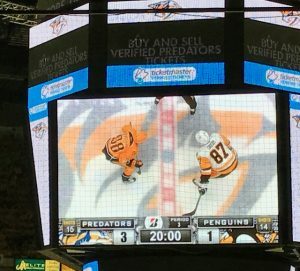 See what we did there. Parenting and being responsible for all the big decisions can be taunting. What school zone do you want to be in? Where is the best programs for athletics or jazz? Where are you going to move? Summer is suppose to be fun! let us help with the home part! If your interested in buying or selling contact me here! Making sure you have enough time to get relocated and ready for the new year is a BIG DEAL, so let us help! Here are some Great Vacation Spots to keep your eyes on in the mean time! The Grand Canyon stretches an estimated 277 miles across Arizona and provides vacationers with space to hike trails like the Bright Angel or Rim, or whitewater raft the Colorado River. The St. Lucia Jazz & Arts festival is an attraction for some visitors, as are the Chassin region’s rain forest and the island’s beaches. A comparative market analysis and an appraisal are the two most common and reliable ways to determine a home’s value. Your real estate agent can provide a comparative market analysis, an informal estimate of value based on the recent selling price of similar neighborhood properties. To help prevent you from overpaying, review comparable homes that have sold within the past year along with the listing, or asking, price on current homes for sale. An appraisal of a home can be provided by a certified appraiser. After visiting the home to check such things as the number of rooms, improvements, size and square footage, construction quality, and the condition of the neighborhood, the appraiser then reviews recent comparable sales to determine the estimated value of the home. The list price is a seller’s advertised price, or asking price, for a home. This price is a rough estimate of what the seller wants to complete a home sale and can be priced high, low (which does not happen often), or very close to what they hope to receive. One effective method to determine if the list price is a fair one is to look at the sales prices of similar homes that have recently sold in the area. Lenders typically require an appraisal, which run between $200 and $300, before they will approve a mortgage loan. In doing so, the lender is protected by ensuring the home is worth the money you want to borrow. You also can check recent home sales in public records, through private firms, and on the Internet to help you determine a home’s potential worth. The post What is your home worth? appeared first on Tiffany Orsino. Getting pre-approved for a loan with a lender is one of the most important first steps into the home buying process. Getting pre-approved for a home loan is not as bad as it seems. It takes little time and will give you an idea of your budget when house hunting. Many lenders offer an online questionnaire you can fill out giving basic information like debt, income and assets. Also, buy getting pre-approved your lender will be able to tell you about different home loans available for you. There are several state and government programs that many consumers don’t know about. Once you are pre-approved you are able to now start the house hunting process. The letter will give you an idea of your budget for the purchase of your home. You can start to narrow down your areas that fit within your budget. Once you have found your property, the next step can go one of two ways. This is the most important reason to get pre-approved!!! Many Realtors and Sellers are less willing to accept an offer without a pre-approval or pre-qualification letter. This is very vital to have especially in a competitive market. By having a pre-approval letter, it shows the Realtor and Seller that you are serious about purchasing the home and have already started the process of obtaining a mortgage. The post Why you should get Pre-Approved appeared first on Tiffany Orsino. 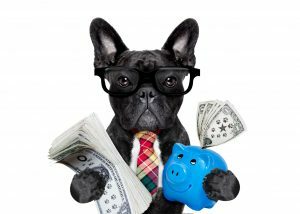 Have you considered a THDA Home Loan? Your monthly payments are spread out across 30 years to keep payments affordable. To qualify for the Great Choice Home Loan, the credit score of everyone on the loan application must be at least 640. Your total household income must be below the annual income limit. This limit varies by county and the number of people in your household. The maximum purchase price you can pay for the home and still qualify for the loan program also varies by county and is closely related to the income limits set for that county. Everyone who qualifies for the Great Choice Home Loan Program also has the option for financial assistance with their down payment and/or closing costs. The post Have you considered a THDA Home Loan? appeared first on Tiffany Orsino. Strategic Planning– As a local Realtor, I will review market conditions, set a listing timeline and determine the list price of your home. Marketing– I will submit your listing to the National Listings Distribution which will showcase your home on over 100 home buying websites including Zillow, Trulia and Realtor.com just to name a few. Your house will also be submitted to the local Multiple Listings Service (MLS) for other agents to view your home. Facebook offers private groups especially for Realtors to announce upcoming homes hitting the market, so with the power of Social Media, I can alert other agents that your house is “Coming soon” You will also get professional photographs and professional signage in your front yard. Offers– I will provide you all offers and walk you through the process of accepting an offer. We will review buyer qualifications, consider offer terms, and read over contingencies and addendums to help you accept the best offer. Paperwork– Everyone knows there is a lot of paperwork that goes into buying or selling a home and I am here to help you through that process. From the contract, to disclosures to disclaimers, I can help you navigate all the necessary paperwork that is needed and required by the State of Tennessee. Digital– Each one of my homes come with our Mobile Connect. 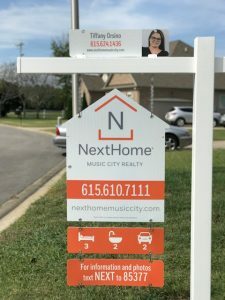 Your yard sign will come with instructions for potential buyers to receive up to the date information on your listing including price, photos and other listing information right to their mobile phone while in front of your property! And last but not least, personalized service. 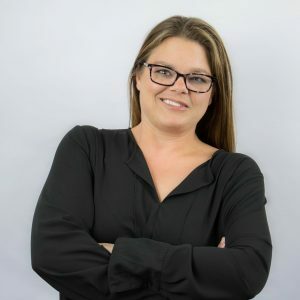 I have been in the Real Estate and Hospitality industry for over 17 years and have received numerous accolades and awards for my dedication to my customers and clients. I am licensed in both Florida and Tennessee so I have extensive knowledge of the Real Estate Market. The post Benefits of hiring a listing agent to sell your home appeared first on Tiffany Orsino. Sales of newly built single-family homes rose 18.9 percent last month, according to data from the U.S. Department of Housing and Urban Development and the U.S. Census Bureau. This represented the highest sales rate since October 2007, with a seasonally adjusted annual rate of 667,000 units, after an upwardly revised August reading. Compared to last year, new-home sales are 8.6 percent above their level during the same period in 2016. New-home sales increased in all four regions, rising 33.3 percent in the Northeast, 25.8 percent in the South, 10.6 percent in the Midwest, and 2.9 percent in the West. Home sales in the South had been greatly hampered by hurricane-related setbacks. All regions showed an increase in sales from last month, and all regions except the Midwest also show growth when compared to a year ago. The post New Home Sales Hit 10-Year High Mark appeared first on Tiffany Orsino. Murfreesboro- Great place to live in Middle TN! 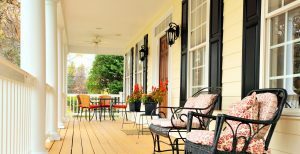 Located in Rutherford County in Middle Tennessee, Murfreesboro is fast becoming on of Middle Tennessee’s “it” places to live. 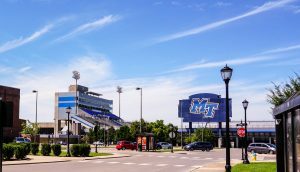 Located just 35 miles from Downtown Nashville, Murfreesboro offers affordable housing, great schools and many is home to Middle Tennessee State University. The housing market in Murfreesboro is booming with the average cost of a 2400 square foot home at $264,900 which is below the national average. Murfreesboro offers single family homes, town homes and farm houses. New construction homes have booked in the area due to the growth of the city. 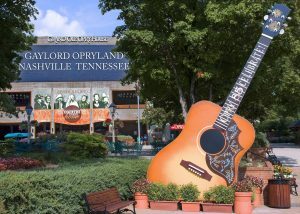 There is no shortage of attractions and entertainment in Murfreesboro. Visit Main Street Downtown and shop at the local stores, grab a quick bite to eat, or just enjoy some of the nightlife downtown has to offer. Visit Stones River National Battlefield and learn the history of The Battle of Stones River. 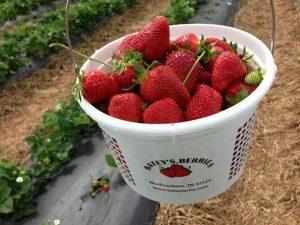 Explore the grounds of Oaklands Mansion or visit Batey’s Farms where you can pick fresh strawberries, visit the Sunflower fields or join them in one of their many weekend festivals. The post Murfreesboro- Great place to live in Middle TN! appeared first on Tiffany Orsino.